Justin Reed, President and CEO of C-Motive Technologies Inc.
Pre-registration is appreciated--please do so online by clicking through the IEEE Madison Section events page. C-Motive Technologies Inc. is a Madison, WI-based startup developing electrostatic machines and devices using its proprietary Capacitive Technology Platform™, which brings electrostatics into competition with the electromagnetic devices pioneered by the likes of Tesla and Edison. Rather than use magnetic fields, C-Motive’s machines and devices leverage electric fields - no copper windings, no expensive, heavy steel electromagnets. C-Motive instead uses electric voltage across closely stacked stationary and rotating aluminum plates. C-Motive’s innovations prove for the first time that electric charges, rather than currents, can produce practical motion on an industrial scale. The secret rests within C-Motive’s patented Hydroflex Plate Stacking System™, which delivers more electrical capacitance than ever demonstrated on a macro scale. This presentation will walk through the development of these technologies and discuss some of their applications. Biography: Justin Reed is the President and CEO of C-Motive Technologies Inc., a Madison, WI-based startup developing fundamentally new types of electric machinery for industry. Reed received the M.S. in 2009 from the University of Wisconsin-Madison and the B.S. in 2005 from the University of Washington in Seattle, both in Electrical Engineering. He is currently finishing his Ph.D. at UW-Madison in the Wisconsin Electric Machines and Power Electronics Consortium (WEMPEC) under Prof. Giri Venkataramanan. Reed specializes in multilevel power converters and high-frequency power electronics, and has a strong background in electromechanical power conversion with 12 published research papers. He attended the Wisconsin Entrepreneurial Bootcamp and Dutch Block Program in 2009. 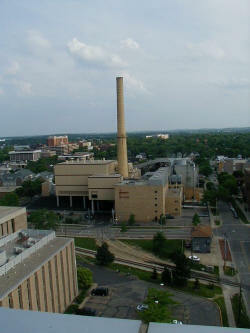 The primary fuels for the Charter Street Heating Plant are natural gas and fuel oil. Fuel oil is used as a back up fuel source. The Charter Plant is capable of producing steam at 800,000#/hr, 26,000 tons of chilled water, 9.8 megawatts of electricity and 7080scfm of compressed air. In an effort to maximize the fuel efficiency, a portion of the steam load at the Charter Plant is used to produce up to 9.8 megawatts of electricity. The tour will also include a talk on the difficulty of upgrading the plant given the changing political climate and elimination of the biofuels component for the plant. The Wisconsin Energy Initiative (WEI) program was utilized to upgrade and maximize the electric and chilled water production capacity of the Charter Plant. Chris Meyer is a local expert on 3D printing and all things related to Hacker Spaces. He will give a brief presentation on the Sector67 3D printing technology and demonstrate how it is done. If you are not familiar with Sector67, check out their web site here. You will be amazed at the things that are happening at Sector67. Dr. Mathew provided a concise view of the bioengineering issues associated with connecting to living neurons and processing signals to control living tissue. He explained how Utah's device was surgically implanted to connect to neurons and showed how neurons could be stimulated to cause muscle contraction. His research identified ways to provide reasonably precise control by applying a constant voltage pulse whose duration and frequency could be varied. He also explained how laboratory animal subjects so instrumented were probed with an automatic analysis tool to identify how to stimulate appropriate muscle action. Muscle fatigue was also discussed and he showed how to provide stimulus to reduce muscle fatigue. The IEEE-Madison Section has partially funded a proposal from the University of Wisconsin Student Branch that the Executive Committee determined to be a worthwhile project. We have applied to the IEEE Technical Activities Board to possibly fund a portion of the work, but more money is needed. See UWisc-IEEE for information on the student chapter's current activities. The aim of UW-Madison IEEE Student Projects is to allow students to gain hands-on experience with practical design and fabrication techniques. The projects allow participants to practice computer layout and fabrication skills without the pressure of a graded class. During promotion chapter project managers emphasize that no previous experience is necessary, and that participation is not limited to electrical and computer engineering majors. Three projects were configured -- the first project is a simple solar photovoltaic (PV) charger for cell phones and digital music players. The second project, named the “color organ”, is a BoosterPack for the TI Tiva C LaunchPad that allows the LaunchPad to sample audio, process it, and then drive an LED matrix on the color organ, forming an audio spectrum analyzer. The third project, named the “breathalyzer”, is also a BoosterPack for the TI Tiva C Launchpad that detects the concentration of alcohol in breath, estimates the corresponding blood alcohol content (BAC) of the user, and outputs the BAC on seven segment LEDs. Please consider a personal or Corporate donation to the Wisconsin IEEE Student Branch to support these efforts. The third Thursday of January through May and September through December is reserved for a meeting to provide recent research, developments, trends and/or innovations in one of our membership's technical areas. The IEEE-Madison Section of the IEEE is a section in Region 4 of the IEEE-USA organized to serve IEEE members in the Madison, WI area with over 600 members. the 2014 Officers and Board Members are Tom Kaminski - Chair, Steve Schultheis, Vice Chair, Charles Gervasi - Treasurer, Brandon Zemlo - Secretary, Timothy Chapman - Webmaster, Tom Kaminski - ECN Chair, Members at Large: Mitch Bradt, Clark Johnson, Dennis Bahr, Craig Heilman, Sandy Rotter. The IEEE-Madison Section has a number of volunteer positions open if you are interested in helping out. 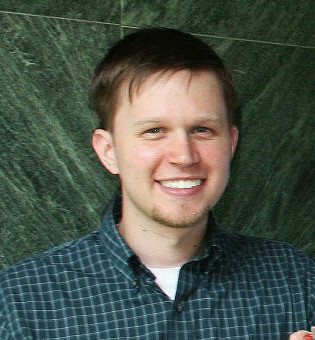 Please direct any questions or comments to Tom Kaminski via email to tjkaminski-at-ieee.org.